Brain based researchers, Dr. Donna Wilson and Marcus Conyers through their research state that optimism, traditionally considered to be an unchangeable trait, is a way of thinking that can be learned and enhanced. People with a positive viewpoint have less stress, better creative problem-solving skills, and better health outcomes than less optimistic people. Additionally, these learners are more likely to persist in the sometimes-hard work of learning, motivated by the belief that they can accomplish their learning goals. They also feel that many teachers realize that as students become more optimistic, they are motivated to progress through learning difficulties and to attain higher levels of achievement. These optimistic students also have greater resistance to depression and the negative effects of stress. Educators over the years have been taught implementation strategies to increase practical optimism and other keys to learning in the classroom. There were six suggestions presented to build practical optimism in students. Ask students if they would like to learn a way to more consistently sustain practical optimism. Read aloud Treasure Hunter and Trash Collectors. Then say to the students, “The choice is yours. You get to decide. Ask students to think of five things they like or can feel good about. Ask students to write, draw, or create a concept map of these five things. Continue to use this process once a week or once a month, encouraging students to find and add more things to their practical optimism list. This would be shared and I would encourage teachers to utilize this in their classrooms to ensure academic success for students. Practical optimism is a means for getting the best from your brain and your life. Try it, you’ll like it because the results will be positive. Follow Jalissa Bates on Twitter @BurninNLootin. 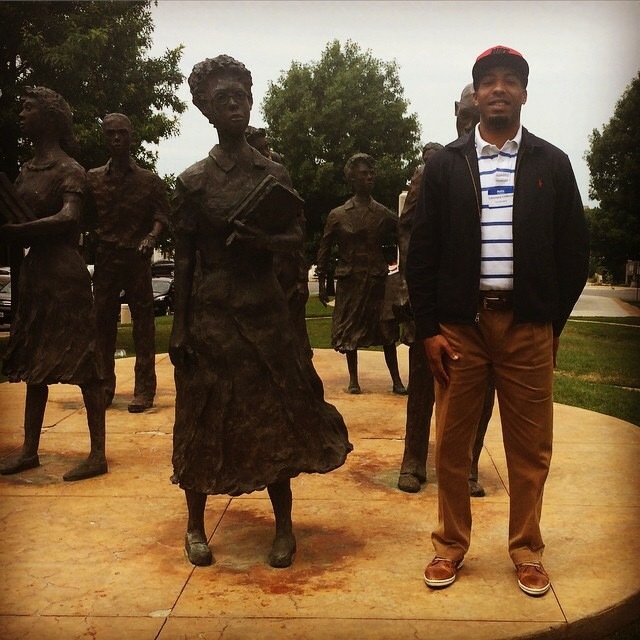 A few weeks ago I traveled to Little Rock, Arkansas with leaders of Louisiana Association of Educators. While there we were taken on a tour of the city by community activists, and we visited the historic Central High School. I vividly remember in the 11th grade reading about Central High and the integration story of the Little Rock Nine, and I remember having this overwhelming feeling of being empowered. That these students had to endure such a life and had the wherewithal to force transformation in our schooling system was and still is incredible to me. After listening to stories about the current struggles and triumphs of Little Rock and dialoguing with representatives from various activist groups whose primary objective is to “reclaim our schools,” I began to reflect on the relationship between the school and the community. For this group, reclaiming our schools meant taking back our schools from those institutions that have interest other than the education and betterment of our students. Who are we exactly in this movement to reclaim our schools and what gives us authority? The “we” signifies our community. Many times, parental involvement occurs when there is a perceived behavioral problem with students. Reactive involvement. We need to take a cue from those parents who are proactively engaged in the school community, those parents who come out for poetry night, the parent support network, and PTOs. What we find, however, is that in some schools Parent-Teacher Organizations are non-existent. Where, then, do teachers and parents communicate? When do they have the opportunity to formally collaborate and dialogue? Schools must actively solicit and welcome parental involvement. There should be no school where parents feel unwelcome. We now know what happens when we are not actively and proactively involved in our children’s schools: the schools are taken over, they’re closed down, or they begin to fail. They become dropout factories and part of the egregious school to prison pipeline, and that’s certainly not what we want. It is the community that should hold schools accountable, and that accountability begins with involvement. Schools have the potential to do so much for our communities; it is schools that can empower and transform communities.